Parsons Construction develop commercial and residential builds and got in contact with us at Glow, as they wanted us to design and brand a swanky new brochure for the commercial development, East Horton Business Park, including Computer Generated Images (CGIs) of the offices, floorplans, site maps and specifications. 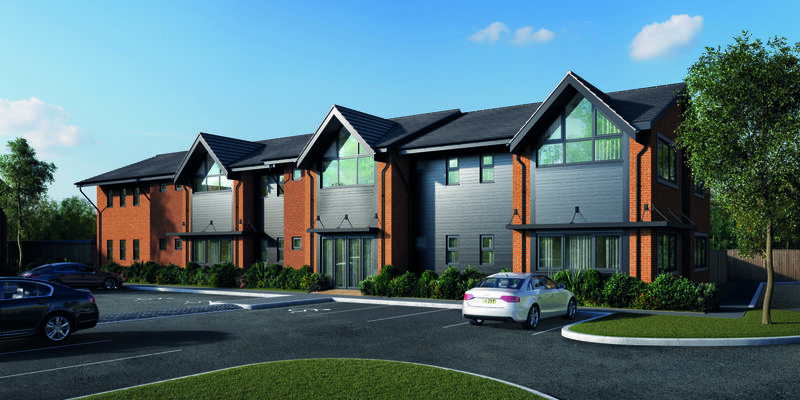 We began with an initial meeting, where Parsons presented Glow with the site plan and planning drawings. 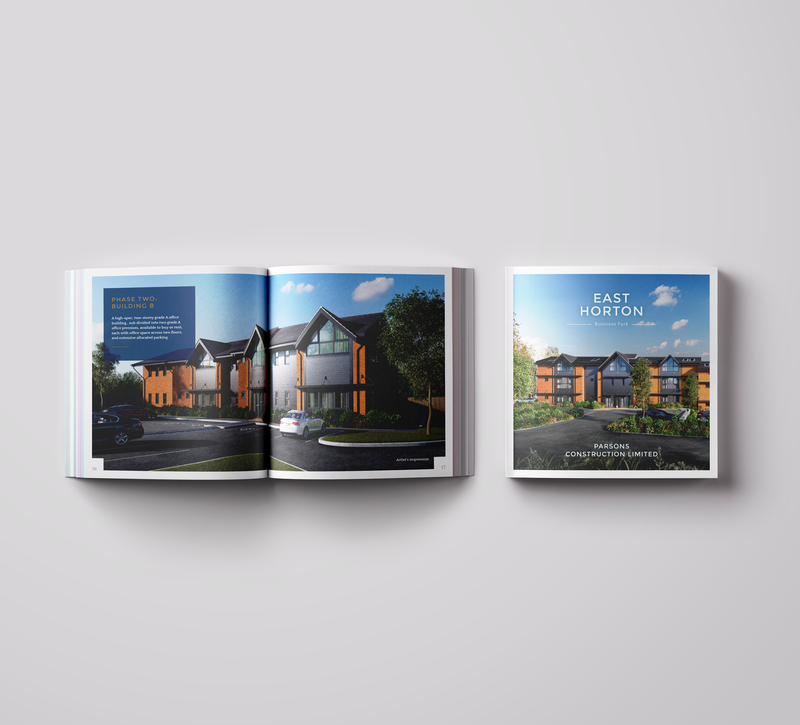 Glow were asked to project manage the entire process of the brochure development; gathering all the relevant information, working to deadlines, producing the CGIs of the buildings, writing the copy, designing the brochure, illustrating the site and location map, and printing the final copies of the brochures. 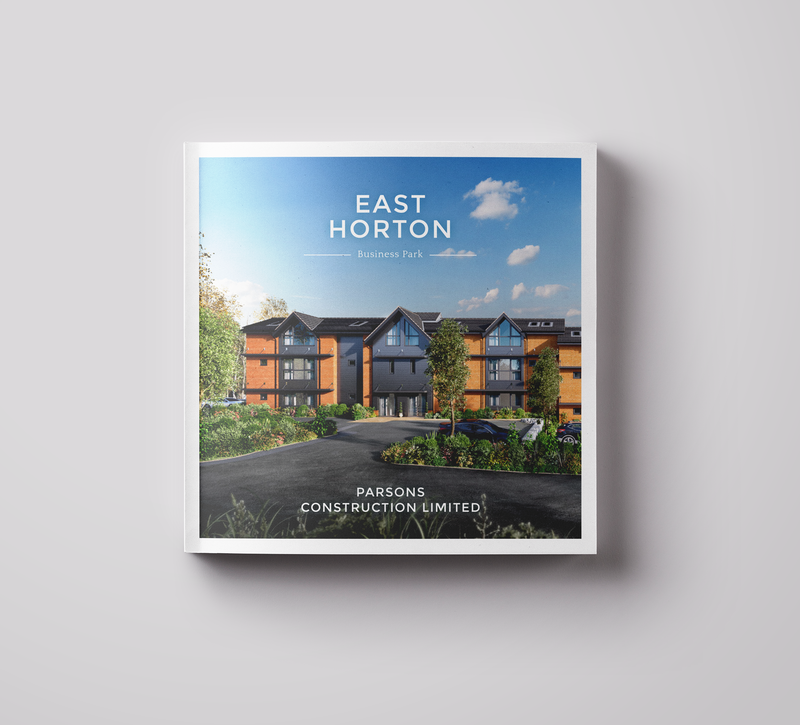 Parsons even provided some fantastic photography of the surrounding area taken using their drone, which we’ve used throughout the brochure design. 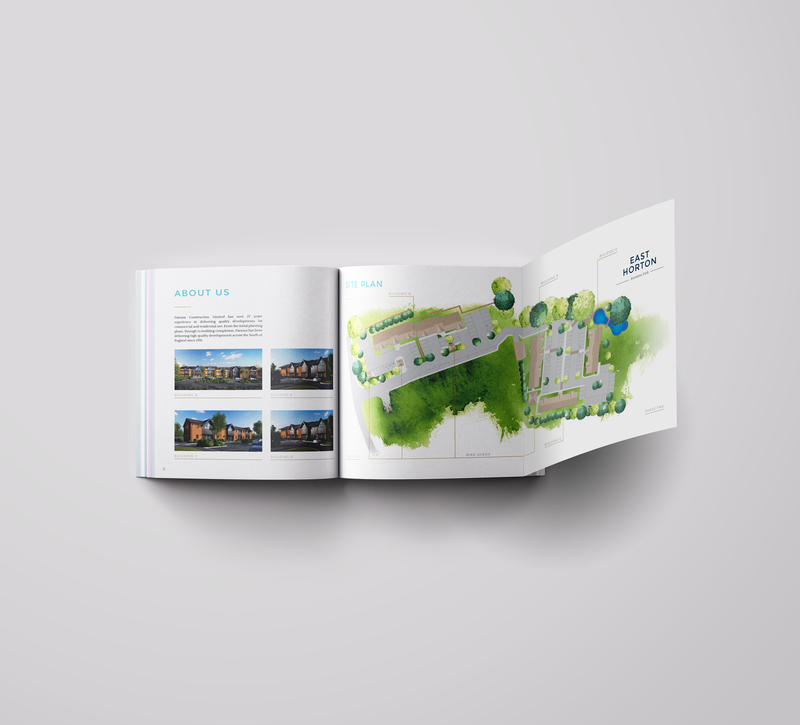 This imagery, coupled with our stunning CGIs, give the brochure a professional, high-end look, helped even more by the fact it’s printed on Colorplan and Arcoprint (if you know your paper stock, you’ll know this is the cream of the crop) and in a square format – who doesn’t love a square brochure!